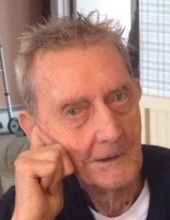 Francis G. Schuler, 87, of Ashland,PA passed away Saturday, April 6th, 2019 at Shenandoah Manor Nursing & Rehab., Shenandoah, PA.
Born in Ashland September 18,1931 the son of the late William and Anna (Loeper) Schuler. He was a United States Army Veteran serving from Nov. 1952 to Nov.
at the American Hose Co., Ashland and a member of the VFW post in Ashland. Francis enjoyed hunting, fishing, following his favorite sports teams the Eagles and Phillies and doing jigsaw puzzles, playing the lottery and reading the morning newspaper. Preceding him in death in addition to his parents were four brothers and two sisters: John, William, Paul and Vincent. Sisters: Anne Spuglio and Rose Higgins. Many nieces and nephews survive. Services will be held at Indiantown Gap National Cemetery, Annville, PA on Thursday, April 11,2019 at 2:30 P.M. with Military Honors. Friends and relatives are invited to attend. Kull-Heizenroth Funeral Home, Ashland is in charge of arrangements. To send flowers or a remembrance gift to the family of Francis Gerald Schuler, please visit our Tribute Store. "Email Address" would like to share the life celebration of Francis Gerald Schuler. Click on the "link" to go to share a favorite memory or leave a condolence message for the family.